The present church dates from the late 13th and 14th centuries and is believed to have been built on the site of a much earlier Norman church. Its situation on higher ground to the south of the village as it was in 1943 set it apart from all other buildings in the village. This was also the case in 1773 when no through road went past the church and so it seems likely that the village was always set in the valley bottom or it moved away from the church before the latter part of the 18th century. 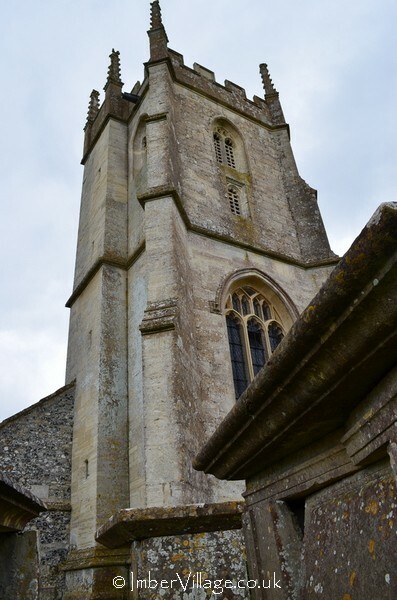 The church is built of dressed limestone with flint and the roof is tiled with coped verges. The nave has north and south aisles, the chancel has a north vestry, and there is a north porch and west tower. In the 15th century the aisle windows were widened to help lighten the interior of the church, while in the 18th century a leaded oeil de boeuf was inserted in the south wall. The Perpendicular tower is in two stages with a heavily moulded plinth and diagonal buttresses; there is a stair turret on the north side with chamfered arrow loops and the tower has a battlemented parapet and crocketed pinnacles. The porch has fixed stone benches and leads to a 15th century Tudor-arched doorway with a 19th century door. There is a cusped stoup to the right. The nave has a three-bay late Medieval arch-braced collar rafter roof, while the three-bay north and south arcades are late 13th century with traces of red painted decoration on the arches and walls above. In the south aisle is a trefoil-headed piscina and a blocked doorway. On the north wall of the tower is an unusual painted bell-ringing mural dated 1692 on the west panel; there were originally seven panels for a peal of five bells, with red-painted figures. The church was restored in 1849 when the chancel was rebuilt by the patron, Lord Bath. The lancet windows were replaced by Perpendicular style ones and the total cost of restoration was £630. 10 shillings. 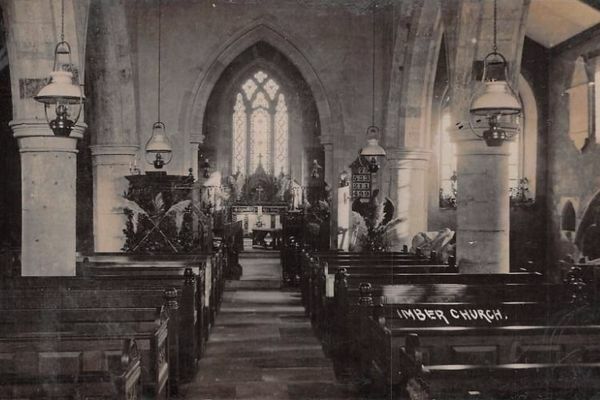 A further extensive restoration took place in 1895 when the seating capacity was increased to 200 at a cost of £1,000. 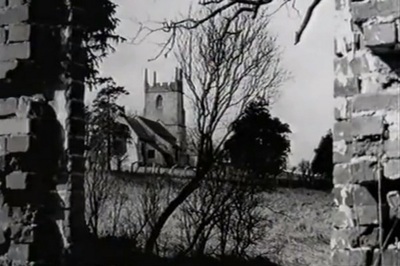 In the early 1950s, ie a few years after hostilities, when it became clear that residents would not be allowed back to Imber, the church's fittings and furnishings were distributed among churches in Wiltshire and Gloucestershire, and in 1960 it was even suggested that the church itself be moved to Warminster Garrison! 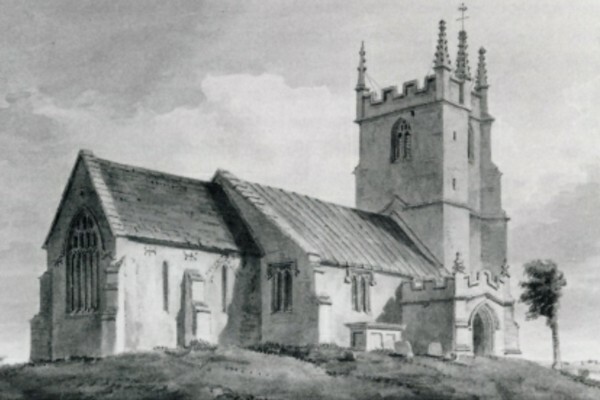 Objections to the church were vociferous, and instead a new church was built for service personell, and others, in Warminster. 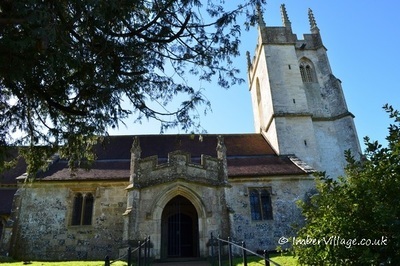 That we can still visit St Giles Church in Imber is primarily down to one man, Neil Skelton, awarded in 2016 the British Empire Medal for his efforts. 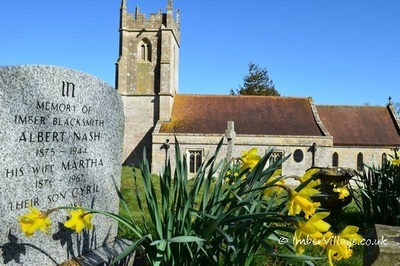 Neil is a former Churches Conservation Trust manager, who first saw St Giles in 1964 when the village was only open to visitors for one day per year. 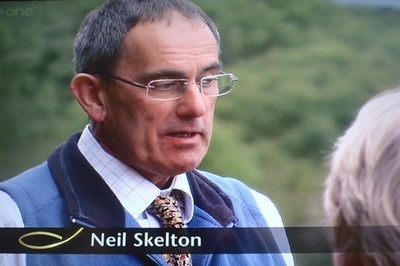 That first sighting had a deep impact on Neil and today he and his band of volunteers can be rightly proud to welcome several thousand visitors each year, crammed into just the few days that access to Imber is permitted. In 2005 The Churches Conservation Trust accepted responsibility for St Giles Church, since which time extensive repairs have been carried out. 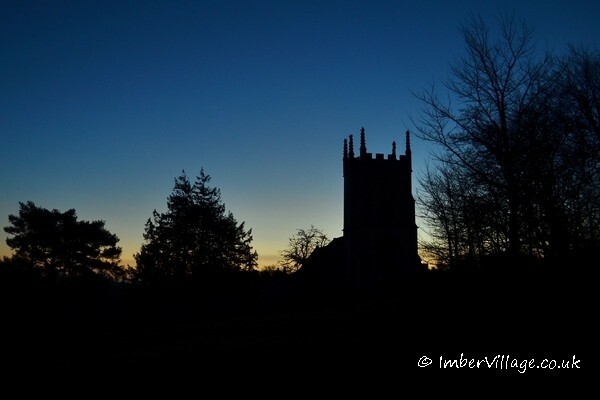 The churchyard remains the responsibility of the parish of Edington with Imber. 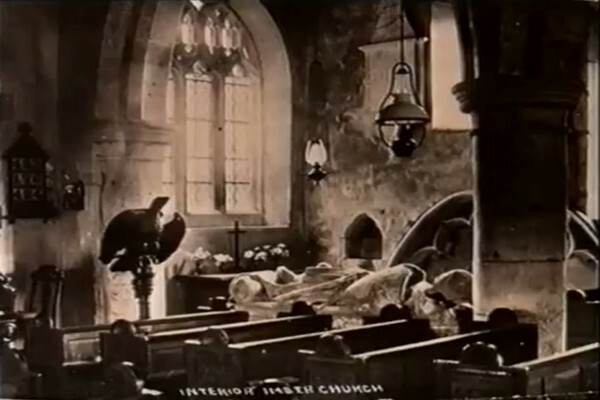 Oh that Imber's Baptist Chapel had had such support. In 2011 Imber featured on Songs of Praise. Saint Giles lived in retreats near the mouth of the Rhône and by the River Gard, in southern France, subsequently he withdrew deep into the forest near Nîmes, where his sole companion was a deer. This deer apparently helped sustain St Giles on her milk. This retreat was finally discovered by the king's hunters, when they pursued the deer to its place of refuge. An arrow shot at the deer wounded Saint Giles instead, see the painting. Following this incident St Giles became a patron of cripples, and the king, held St Giles in high esteem building him a monastery in his valley, Saint-Gilles-du-Gard, which Giles placed under the Benedictine rule. He died there in the early part of the 8th century. Besides Saint-Gilles-du-Gard, nineteen other cities bear his name, as well as many churches, and the cathedral in Edinburgh. 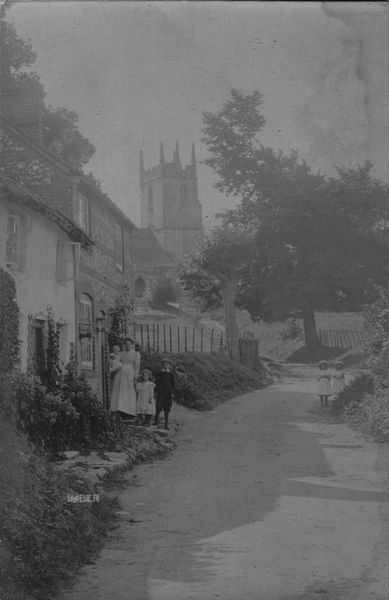 It having been decided not to move Imber's St Giles Church to the garrison in Warminster (see above) 'St Giles Garrison Church' was built in Warminster at the junction of Imber Road and Elm Hill, just before the entrance to the Land Warfare Centre the foundation stone of which came from Imber's St Giles Church. St Giles Church at Warminster Garrison was dedicated in 1968 and is open to the general public as well as military and their families.